Happier employees means a more productive and efficient workplace. Because drumming has a direct impact on mood and health, incorporating it into your workplace will boost morale and your profits too. Drumming has been shown to improve mood and even the immune system. With happier and healthier team members your productivity will increase, bringing your bottom line along with it. Big changes happen when teams work well together. And nothing brings a team together quite like a little bit of drumming. And harmony, of course. Research shows that drumming has a direct impact on decreasing stress responses. Imagine having a team that feels less stressed and ready to conquer their projects! We specialize in providing on site team building and wellness programs using music and drumming. We will come in to your business, create awesome music with your team, and boost morale and productivity in a big way. Events can be anything from a one time team building exercise to an employee appreciation day. Programs include regular team building and wellness workshops. Your team will build on growing knowledge and creativity to improve morale, create unity, decrease stress, and increase workplace productivity. 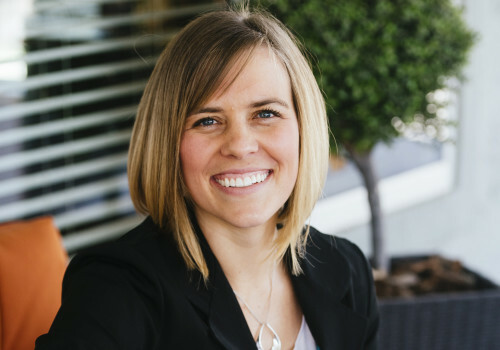 Jaycie Voorhees is a Board Certified Music Therapist and founder of Harmony Music Therapy, based in Salt Lake City Utah serving special populations, corporate team building and wellness. Jaycie combines her zest for life with her passion for music, bringing energizing and effective change to her clients and their teams. f you are looking for a team building activity that is fresh, engaging, and thoroughly entertaining, then jump in with Corporate Drumming! Simply gathering in a circle and pounding out a killer beat is wildly motivating, uniting, and downright fun. 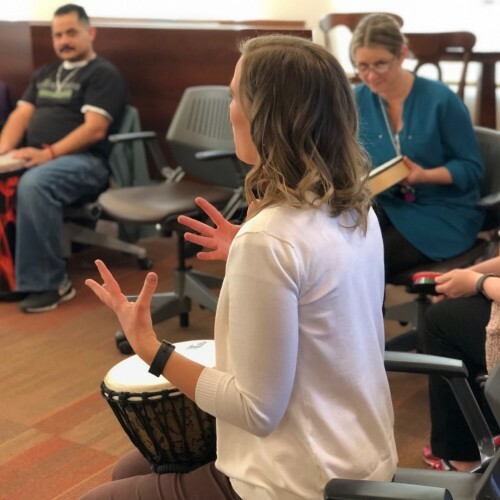 Drumming also helps teams connect with each other and saves corporations precious time and money by boosting morale and decreasing turnover. Drumming is our main focus, simply because it is accessible to everyone. Even the most timid members of your team will shine and connect to others, and you’ll see sides of people you never knew existed. But don’t just take our word for it. Call now to find out if our Corporate Harmony drumming event is right for you!